Bring your sweetie to Seasons 52 and discover the new Sunday Brunch menu with new signature cocktails. Celebrate Valentine's Day 2016 and the Chinese New Year with Bolings. Join Gram & Dun for a special 4-course prix fixe dinner menu for $55 or order a la carte, Feb. 13 & 14. Take your taste buds to Repùblica for a modern Spanish cuisine adventure for Valentine's Day KC 2016, Feb. 13 & 14. Special 4-course prix fixe menu $45. Tale of Two Risottos at Brio Tuscan Grille featuring Lobster & Shrimp or Sea Scallops available for $19.95. 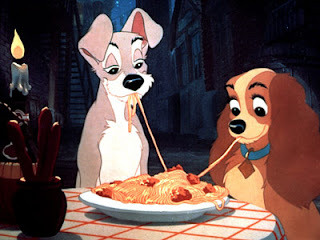 Your sweetheart will love the Heart-Shaped Lasagna special with garlic bread, salad and cannolis, Feb. 12 - 14. Get a free heart shaped pizza with takeout orders over $30 at Buca di Beppo for Valentine's Day KC 2016. Treat your special someone to The Melting Pot for a four course fondue dinner including roses, and a bottle of Moscato or select wine for $109 per couple, Feb. 13 & 14. Be sure and make a reservation as The Melting Pot books up fast, especially for their Valentine's Day specials. 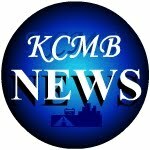 Some venues on the Plaza have great entertainment from live Kansas City Bands! Now - 10 | Get 25% off regular price merchandise and 60% off markdowns at Talbots. Now - 14 | Purchase a $100 Gift Card and get 50% off jewelry items at Evereve. Now - 31 | Get your primp on at Parlor: A Beauty Bar and check out their early bird discounts - $25 blowouts (Mon.- Wed. 9am - Noon), buy one Living Proof Product and get one 50% off, and treat yourself to a $5 scalp massage. Now - 31 | Free SKIN Lip Balm with any SKIN brand purchase. 6 | "Mix It Up" at Athleta with Transform and Fit KC free class. Featuring Pilates, Bootcamp and Giveaways! 6 | Shop Tommy Bahama's Spring Preview Event from 1-5pm. 7 | Attend the Sephora Perfectly Paired Lip and Cheek class from 5:30 - 7:30pm. Sign-ups are first come first serve. 10 | Take the stress out of shopping during Kendra Scott's Guy's Night Shopping Event from 5 - 7pm. Enjoy complimentary craft cocktails and Valentine's Day specials. 11 - 15 | Take additional 15% off markdowns during Talbots Presidents Day Sale. 12 - 14 | Free Gift with and 2 full-priced lip product purchase at Soft Surroundings. 12 - 20 | Visit the TIVOL Designer Closeout Sale with up to 70% off select jewelry, men's and women's timepieces and loose diamonds. 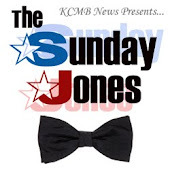 Valentine's Day KC 2016 events and offers on the Plaza. 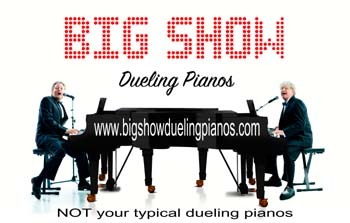 Don't forget to check out BIG SHOW Dueling Pianos on February 10th at the Overland Park Convention Center. 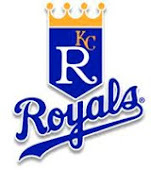 Valentine's Day 2016 Specials by KCMB Kansas City News, official kc news site with breaking stories on The Kansas City Royals, Chiefs, charity events, the 2012 MLB All Star Game, weather, sports, MU, KU, ufo sightings, dui checkpoints, Kansas City neighborhoods, nightlife, concerts, the Sprint Center, the Power and Light District and current Kansas City news articles.